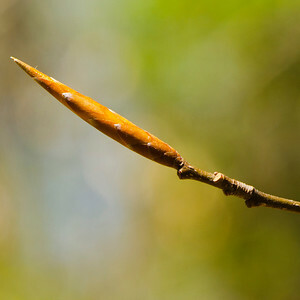 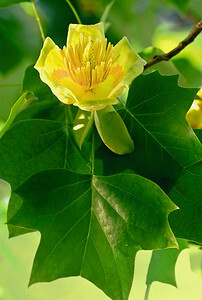 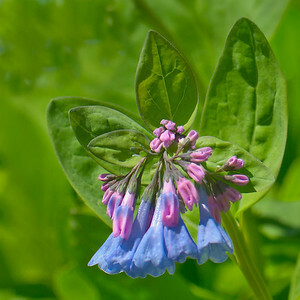 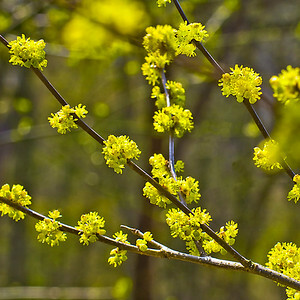 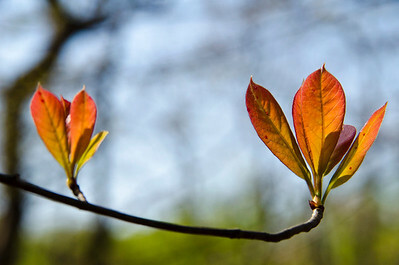 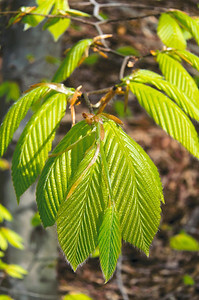 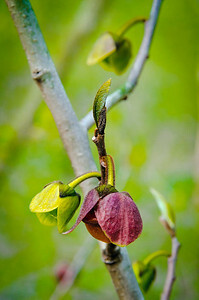 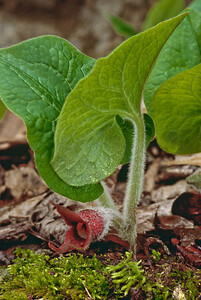 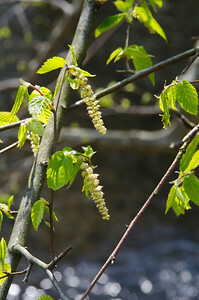 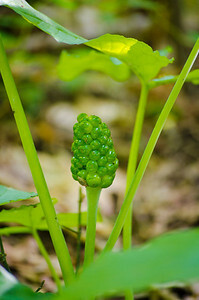 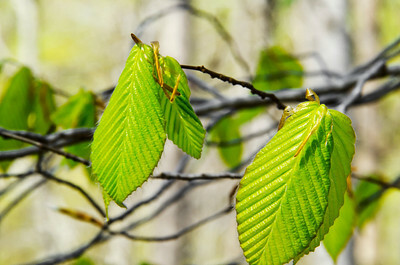 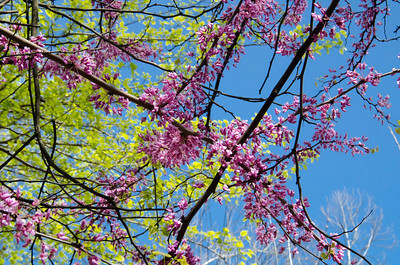 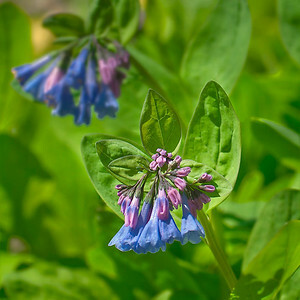 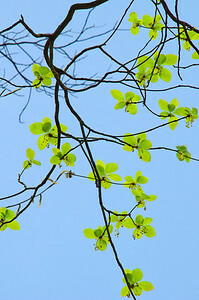 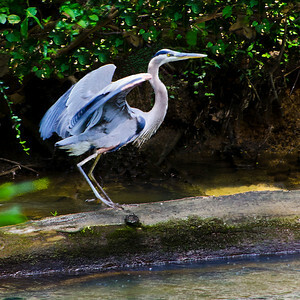 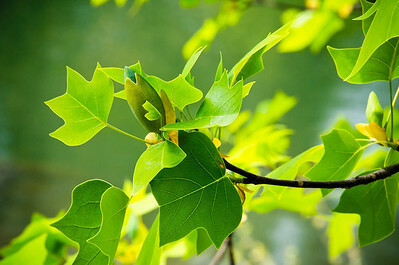 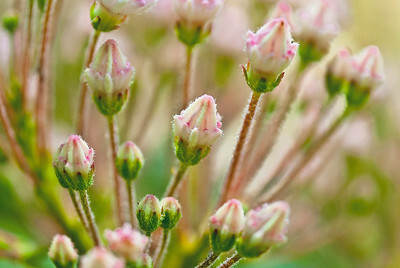 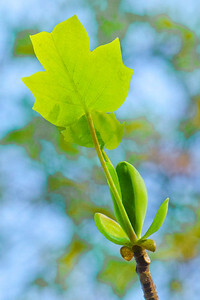 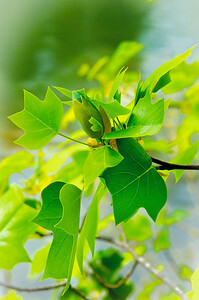 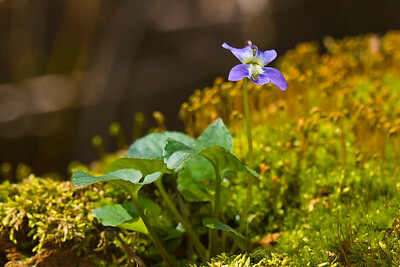 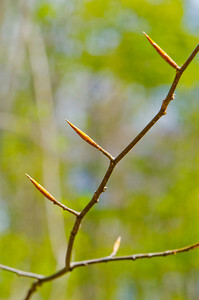 Springtime images of wildflowers and bursting buds in Rock Creek National Park, Washington, D.C.. 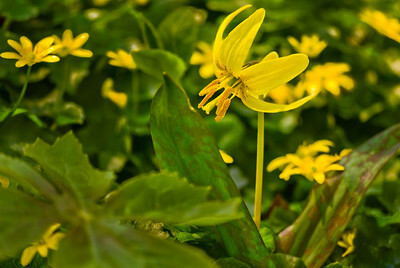 Although it creates a lovely spring show of glossy green leaves and starry yellow blossoms, lesser celandine (Ranunculus ficaria) is an invasive exotic weed that smothers native wildflowers. 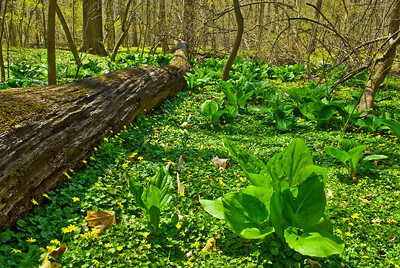 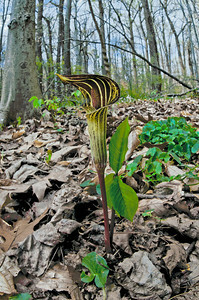 Here it blankets the ground under skunk cabbage (Symplocarpus foetidus) in a vernally wet area of Rock Creek Park. 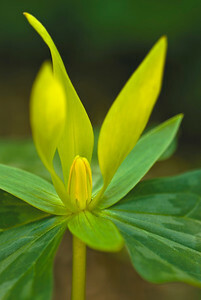 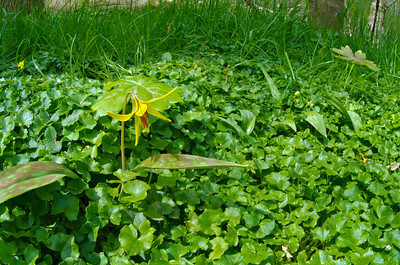 The yellow wakerobin (Trilium luteum) is one of the few trilliums with yellow blossoms. 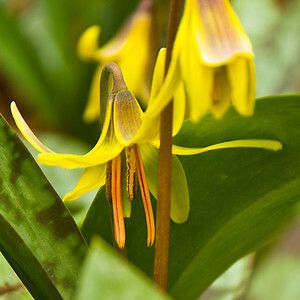 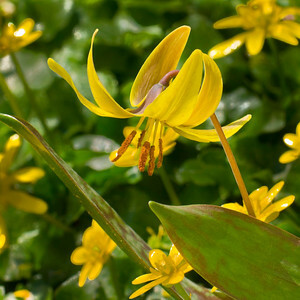 Called trout lily or doogtooth violet (Erythronimum americanum), this early spring-bloomer appears as if it wants to take flight with its sweptback petals. 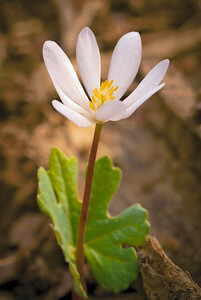 Bloodroot (Sanguinaria canadensis) is named after the orange-red sap that flows from its roots. 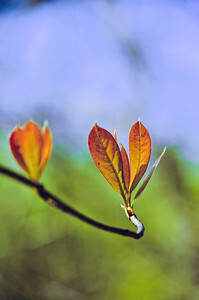 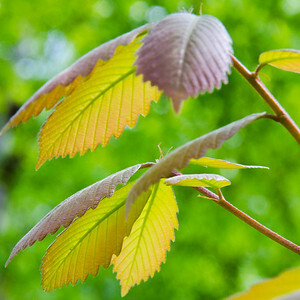 The delicate white blossoms emerge from a wrapping of a single scalloped green leaf. 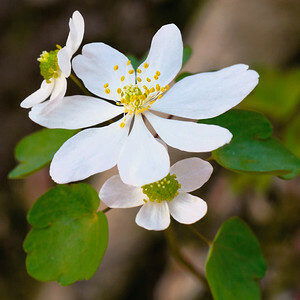 Anemonella thalictroides (rue anemone) is more of the most delicate of the woodland wildflowers, admired for both its graceful flowers and its fernlike foliage. 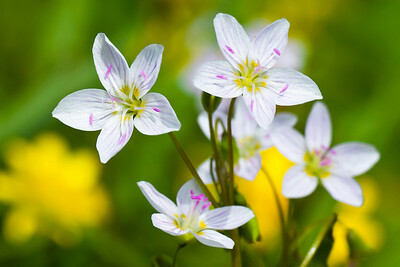 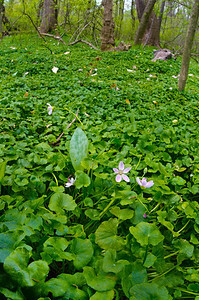 A closeup look at spring beauty (Claytonia virginica) blossoms reveals that their pink coloration comes from the veins and anthers that higlhight the delicate white blossoms. 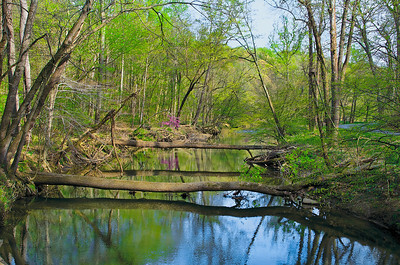 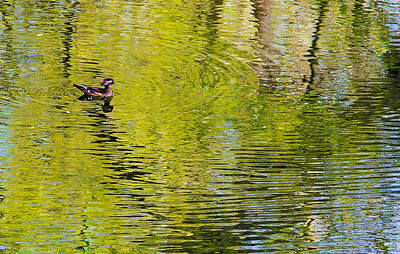 The calm reflective water of Rock Creek in spring. 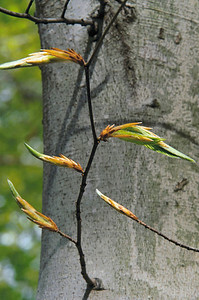 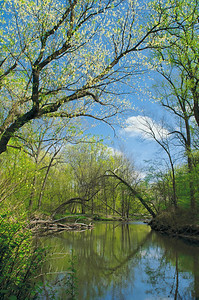 Box elder (Acer negundo) blooming branches arch over Rock Creek in ealry spring. 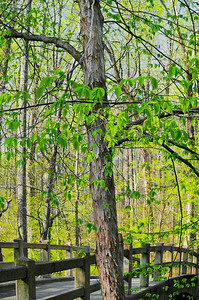 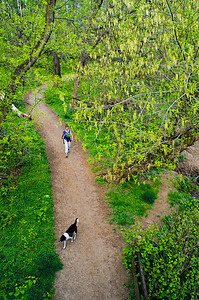 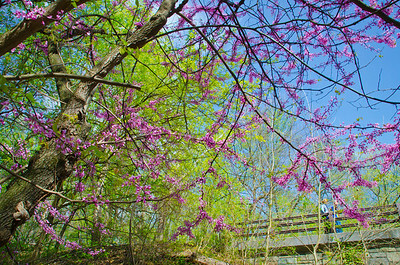 A woman and her dog enjoy springtime walking along the Valley Trail in Rock Creek Park. 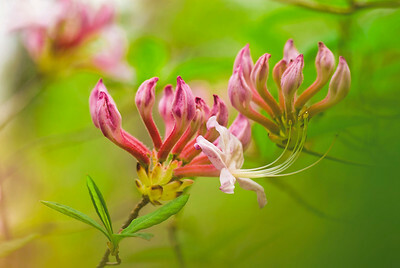 Pinxterbloom azalea (Rhododendron periclymenoides syn. 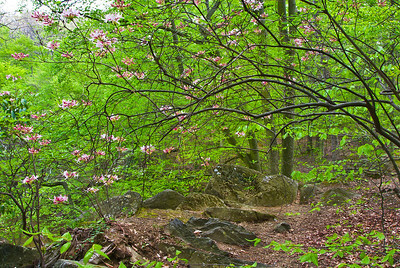 R. nudiflorum) blooms on a rocky ledge in Rock Creek Park.